The Compass School of Powell, Ohio opened in 1999 and was an early adopter in central Ohio of the Reggio-Inspired approach to early childhood education. In 2010, our Powell school earned NAEYC accreditation, which has been consistently maintained since that time. NAEYC accreditation is arguably the most recognized and respected benchmark of quality for early childhood education programs. The Reggio Emilia approach to education has been at the forefront of early childhood education for over 40 years (Rinaldi, C. 2006. In dialogue with Reggio Emilia: Listening, researching and learning). This philosophy is rooted in a strong image of children as capable, rich in potential, and full of interests and ideas about the world around them. Teachers at The Compass School seek to inspire learning by encouraging creative exploration and collaboration between children in a welcoming, community-based school environment. For more information about what it means to be ‘Reggio-Inspired,’ please click here. 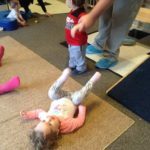 The Compass School of Powell offers innovative and child-centered early education programs serving families in Powell, Dublin, Lewis Center, Worthington, and the Greater Columbus area. For school-age programs, The Compass School of Powell currently offers transportation to and from select Olentangy and Dublin School District schools, including Indian Springs, Scioto Ridge, Wyandot Run, Tyler Run, Liberty Tree, and Chapman Elementary Schools. The Powell campus is conveniently located at 3989 North Hampton Drive, just off Sawmill Parkway and 2.5 miles north of I-270. The school is also just a five-minute drive from the Columbus Zoo and Aquarium. Click here for directions from your location. We look forward to showing you our beautiful school! Call us at 614-764-8844 to schedule your personal tour. 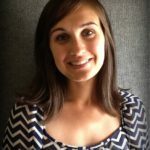 Tara has ten years of work experience in the early childhood field, and began as an administrator at The Compass School in 2010. She holds a Bachelor of Arts degree from York University (Toronto) majoring in Psychology, as well as an Early Childhood Education diploma from Humber College (Ontario, Canada). Our first Toddler Waddle Class. We rang in February with our first Toddler Waddle Class run by our very own Ms. Eileen. Today’s class was all about the body. We started out with Head, Shoulders, Knees and Toes. Then we moved to a variation of a song we often sing, Old MacDonald Had a Body. Instead of animal sounds we were working on saying and moving our different body parts. This really got us going and woke up all our muscles. Next we did Dendrite Dance. This dance was a lot of patterned movement. We ended with some calming yoga moves and some soft stuffed animals. Ms. Tara and Mr. Adam also came to join our class and help us move so a big thank you to them, as well as Ms. Eileen. We can’t wait until next week’s class! Miss Donna reading to her class. 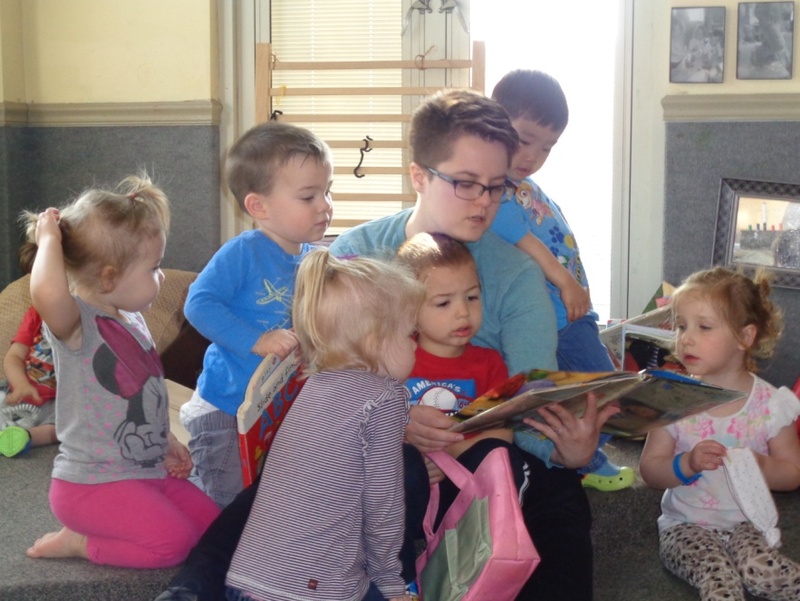 Miss Donna joined us as a student teacher in the Adventurer toddler classroom for the Fall semester of 2016. She quickly formed relationships with the families, teachers, and children of the class. She became part of our staff in February of 2017 and has since been an asset to our program. Miss Donna works well in all of our age groups and arrives each day with a positive attitude, smile, and readiness to play! Miss Donna has recently been accepted into the Ohio State Early Childhood Education program on a full scholarship. We are proud and happy to have her as part of our Compass community. We visited several other schools in Powell but Compass surpassed them all hands down. The curriculum is top notch; all the teachers are well educated, some with advanced degrees, and do a fabulous job educating our children. The school is always neat, clean and orderly; you can tell the company, as well as the staff, takes pride in what they do day in and day out. I love the feeling of family at The Compass School. I know my children are loved and respected. There is no place that I would rather send my children. My daughter has attended The Compass School since she was 19 months old. I cannot say enough how wonderful their program is and what a caring staff they have. My daughter has blossomed under their care and education. She loves going to The Compass School!! The teachers she has are amazing and communicate with me regularly about how my daughter is developing. The fact that she is learning while being her crazy, creative self is priceless. These years are so important- we feel blessed that we found this school and took that chance. I have zero doubt that we will look back at this as one of the best decisions we made for her. Our son is in Inventor’s Workshop and we are so happy with his care. We love his teachers – it is completely evident they are 100% vested in the children. Great communication between teachers and parents- love the daily newsletter. He enjoys school, which is a new experience for us. The teachers’ energy, caring and commitment to learning are apparent every day. Our daughters love going to school, and at pick up time they are excited to tell us about their day. We couldn’t be any happier with our decision to enroll our daughters at Compass Powell. The staff is wonderful and the interaction with parents and students exceptional! There are extra-curricular activities available, as well as many field trips and other events. Our only complaint is that we didn’t start our son here sooner!! Absolutely wonderful school!